Today, MediaTek has finally made official a mobile processor that many have been expecting for a few months now, namely the MT6592, the first chipset to offer true octa-core capabilities for smartphones. The processor, set to arrive in commercially available devices before the end of this year, features eight low-power Cortex-A7 cores, and is capable of firing up all of them at the same time. The new CPU takes advantage of a Heterogeneous Multi-Processing model and ARM's big.LITTLE architecture so as to have all eight cores operating simultaneously, something that other octa-core CPUs available on the market today cannot. Furthermore, MediaTek claims that MT6592’s cores can clock in at between 1.7GHz and 2GHz, and that the processor delivers better performance than the quad-core Snapdragon 800. It also says that its chip consumes up to 40 percent less power than Qualcomm’s high-end solution. However, speed and low power needs are only some of the features that the new processor will arrive with, it seems. According to Engadget, the CPU also packs an image signal processor that should offer support for 16-megapixel camera modules. Moreover, the CPU comes with a 700MHz ARM Mali-450 MP graphics processor, and supports 4K H.264 video decoding plus full HD H.265/VP9 playback. 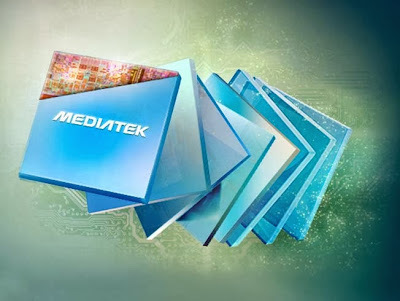 Unfortunately, MediaTek appears to be a bit behind when it comes to offering 4G connectivity inside its SoC, though a 4G modem will also be released before the end of this year, the company’s General Manager Xie Qingjiang has confirmed. The modem will be compatible with both quad-core and octa-core processors from MediaTek, and mobile phone makers will be able to use both of them inside their devices. No info on the price tag that handsets powered by the new MT6592 processor might sport has been provided as of now. However, given the affordability of smartphones featuring the company’s quad-core chips, we should expect them to be accessible to a lot of users.